Download "Brought to you by The Beading Emporium"
1 Brought to you by The Beading Emporium The most difficult part of creating, whether it is a beautiful painting or a lovely piece of jewelry, is coming up with the right color combinations. However, with some basic knowledge of color theory you can guarantee a great combination every time. THE 12 COLOR WHEEL Color Theory is a set of principles used to create harmonious color combinations. The relationships between these colors can be visually represented through the 12-color wheel. Color theory analyzes only the relationships of pure colors, known as hues; it does not take color lightness and saturation into account. While color schemes can use any tints, or shades, color theory pays attention only to the hue component. PRIMARY COLORS Most of us are familiar with Primary Colors, Red, Yellow, and Blue. Those 3 pigments cannot be mixed or formed by any combination of other colors. All other colors are derived from those 3 hues. SECONDARY COLORS You might also recall that mixing the primary colors forms secondary colors. Those are Green (blue & yellow), Orange (red & yellow), and Purple (red & blue). 2 TERTIARY Tertiary Colors are formed when a primary color is mixed with a secondary color. The six tertiaries are: Yellow-Orange, Red-Orange, Red-Purple, Blue-Purple, Blue-Green, and Yellow-Green. These 12 colors encompass the foundation of modern color theory. 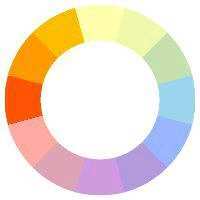 TINT / SHADE WHEEL A hue refers to a pure color, one without white or black added. Tint is a hue with white added and Shade is a hue with black added. For example look at the image above. 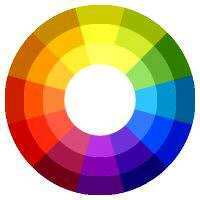 The middle circle is the original color wheel with the "pure" colors. The inner ring contains tints and the outer ring shades of the "pure" colors. NEUTRALS Black, grays, and white are neutral; browns are sometimes considered neutral as well. Neutral colors are intended to send no messages while mixing harmoniously with other colors. 3 WARM & COOL COLORS Warm colors are all those that have a yellow undertone, such as bright red, oranges, yellows, and green-yellows, and are typically thought to express warmth, comfort, and energy. These colors also tend to make things stand out and advance towards the viewer. Cool colors have a blue undertone, and include violets, blues, aqua, and greens and are thought to express coolness, detachment, stability, and calmness. In addition, cool colors seem to move away from the viewer. Color Harmony & Schemes Color Harmony is a set of rules that creates harmonious color combinations, also known as schemes. The color wheel is used as a tool to create these schemes. There are four basic schemes: monochromatic, analogous, complementary, and split-complementary and two complex schemes: triadic and tetradic. MONOCHROMATIC COLOR SCHEMES The monochromatic scheme is the simplest of all the color harmonies. It uses variations in shade and tint of a single color to create a clean, visually appealing, elegant design. 4 WARM ANALOGOUS COOL ANALOGOUS COLOR SCHEMES The analogous scheme is one of the most pleasing of the color harmonies. It uses any three colors that are next to each other on a 12-part color wheel. Usually one of the three colors predominates while the others are used to enrich the scheme. The analogous scheme offers more variations while retaining the simplicity and elegance of the monochromatic scheme. WARM & COOL MIXED ANALOGOUS While you should usually avoid combining warm and cool colors in this scheme, it can be used to create some visually stimulating combinations. However, when attempting to mix temperatures, it is usually best to let the isolated temperature predominate and to use the other two colors to accent and accentuate. 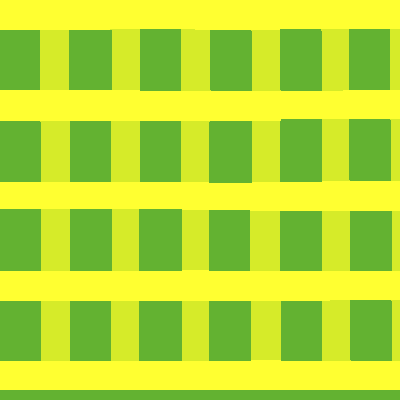 For example, using the colors in the example above, the green is the lone cool color and should be allowed to dominate the other two warm colors (yellow and yellow-green) in your design. 5 COMPLEMENTARY SCHEME The complementary color scheme is made of two colors that are directly opposite each other on the color wheel, such as red and green, orange and blue, or yellow and purple. When using the complementary scheme, it is important to choose one color to dominant and use its complementary color to accent. This provides color dominance combined with sharp color contrast drawing maximum attention without exhausting the eye. SPLIT COMPLEMENTARY The split complementary scheme is a variation of the standard complementary scheme. It uses a color and the two colors adjacent to its complementary. This provides high contrast without the strong tension of the complementary scheme. It offers captivating possibilities. To use this scheme start by choosing one key color then use the two colors next to its compliment to accent. 6 Complex Color Schemes TRIADIC COLOR SCHEME The triadic color scheme uses three colors equally spaced around the color wheel. This scheme offers strong visual contrast while retaining balance, and color richness. The triadic scheme is not as contrasting as the complementary and has a more balanced and harmonious effect. 7 TETRADIC COLOR SCHEMES The tetradic (double complementary) scheme is the richest of all the schemes because it uses four colors arranged into two complementary color pairs. This scheme is hard to harmonize. 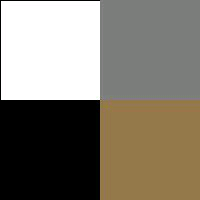 If all four colors are used in equal amounts, the scheme may look unbalanced, so you should choose one color to be dominant while the others are used to accent. SCHEMES FROM NATURE Combinations of colors found in nature often work well as color schemes even if they don't fit specific patterns discussed above; examples of these schemes include "autumn colors" and "spring colors" We hope you've enjoyed our guide and that it has helped you learn a little about how colors work together.